Since 1974, with the first Task Force on Women in the Profession, ICMA has been confronting the status quo of gender, racial, and ethnic diversity in the association and the profession. From data collection and analysis, to developing coaching, mentoring, and professional development programs to support, encourage, and prepare future and current managers of all backgrounds, equity and inclusion continues to be a focus of ICMA staff, the Executive Board, and the membership. ICMA’s Next Generation Initiatives began in 2003 to track and improve equity in access to and utilization of ICMA membership and programs. This commitment gathered additional momentum with two consecutive member Task Forces: the second Task Force on Women in the Profession in 2013 chartered by ICMA President Bonnie Svrcek, and the Task Force on Strengthening Inclusiveness in the Profession in 2014, chartered by ICMA President Jim Bennett. The recommendations of those task forces were assembled by staff and approved by the Executive Board for implementation over a three-year period. Many of those tasks were implemented or changed the way ICMA manages programs, with the remainder on-track for completion in FY19-20. Creating better communities around the world begins with a commitment to equity and inclusion. ICMA strives to ensure that our members and the overall profession reflects the diversity of the people we serve. We work to mitigate the effects of bias in all areas of local government by developing and promoting programs and initiatives in the areas of service delivery, hiring practices, leadership development, community engagement, workplace culture. ICMA is the equity and inclusion thought leader in local government. Our members and their communities have these values and principles engrained in their culture and practices. 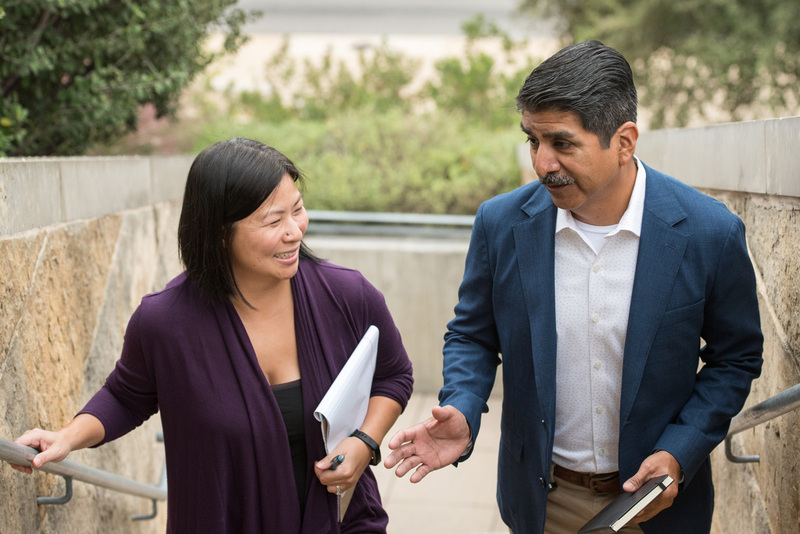 ICMA has put staff and financial resources behind our equity and inclusion efforts to coordinate across the organization, in addition to managing new programs, projects, and tasks to advance the core beliefs and strategies identified in Envision ICMA. 4. Equity and Inclusion: ensuring that local governments are inclusive and mirror the diversity in communities. As a result of rapid and dramatic demographic and population changes, our global communities are experiencing cultural change on a scale and at a pace that is unprecedented in human history. Propelled by relatively inexpensive long distance travel, the racial and ethnic compositions of our nations and communities are undergoing rapid and dramatic change. Without providing better opportunities for these growing, yet still disadvantaged populations, tension and social divisions will grow as poverty and segregation persist. This is further fueled by mass media and rising policecommunity tensions. It is critical that communities make investments in education, language acquisition, job training, and other services to combat unemployment and facilitate integration and inclusion of diverse groups into society. Special attention must also be given to issues around enhancing cultural competence, minimizing implicit biases and improving race relations. Local governments along with their police departments will have to work hard to recognize that those in authority must rely on inclusion, openness and encouragement of diversity instead of expecting the continuance of an out of date social order maintained through rules, laws and intimidation. It will be incumbent on local governments to assure that staff and service providers are well-trained in recognizing the value of differences, particularly for those local governments that provide law enforcement, education and social services. Strategies such as those recommended by the 21st Century Policing report and training (re implicit bias) must be considered by local government professionals if we are to embrace all members of our communities. The current overall demographic profile of the local government management profession does not generally reflect the diversity of many of the communities in which we serve. However, ICMA research has shown that MPA/MPP students and early career professionals are more diverse and more reflective of the general population than those currently in local government management positions. Due to the current lack of diversity in the profession, this next generation may not see local government as an attractive option. This makes it imperative that local governments partner with undergraduate/graduate programs to tell their story of community service and to engage in outreach and recruitment efforts to bolster diversity. They must also assess their current practices to ensure that no institutional biases or barriers exist so that they are able to attract, retain, and provide opportunities for advancement to women and minorities.